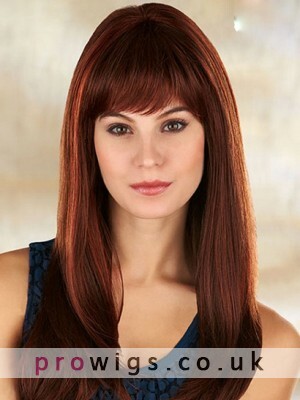 Tip: This Wig comes with the elastic strap.It is adjustable.This provides additional comfort, as well as confidence your wig won't fall out, or get blown away buy winds. • It's nice and soft and simply pretty with a natural hairline. • Lace Front – Gives the illusion of a natural scalp and allows for a part in multiple directions. • Hand-Tied Cap Construction- Allows each individual hair to move freely like natural hair. Subject: This is a fantastic product. This is a fantastic product. I have purchase 2 and colour and quality are brilliant. I would highly recommend this and also once again would like to thank prowigs for their tremendous customer service. Subject: I really love it. The wig meets my needs in all aspects. The service was excellent. Put on and wore right out of box... love it. Bought to use while going through hair loss caused by chemo therapy. Have friends with a full head of hair that like it so much, they are ordering.